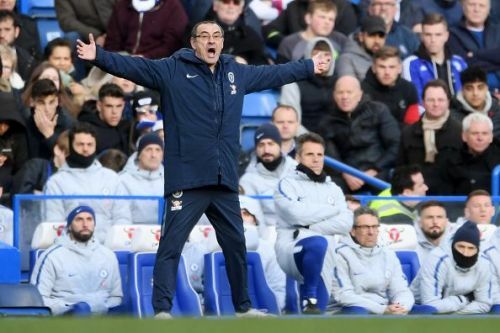 Sarri has become a huge source of frustration for Chelsea fans. In the summer of 2018, Chelsea made a lot of efforts to bring Maurizio Sarri to London from Napoli. The situation was very complicated and with every passing day, it felt like Chelsea would not be making the announcement. Sarri was replaced by Carlo Ancelotti at Napoli but he was not sacked, while Chelsea could not sack Antonio Conte as Sarri was not yet available. Amidst all the drama somehow, the Blues got their man in the summer. But, exactly why was Chelsea so desperate for him? After all, he is a 60-year-old trophyless former banker turned manager. The answer lies in Napoli's 2017-18 season, where they managed to gather 91 points, at the same time while playing some exquisite and beautiful attacking football. Roman Abramovich was convinced that Chelsea need to play attacking football to win trophies and compete with the likes of Manchester City and Liverpool. Has it been worth it so far? Clearly no. The season started very well for Chelsea, and at some point of time they were seen as contenders for the title. But since the 3-1 defeat to Tottenham, a lot of questions have been asked of Sarri about his tactics. The Stamford Bridge faithful have only seen a little glimpse of Sarri-ball, they are out of FA Cup and the title race, while they lost the Caraboa Cup final to Manchester City on penalties. The Europa League seems to the only chance for Sarri to have some silverware this season. Their hopes of finishing in the top four and playing Champions League football are also in danger, as the race for the third and fourth places is very tight, especially against the likes of Tottenham, Arsenal and Manchester United. Sarri was highly praised during his time at Napoli. Sarri was praised for his 2017-18 season where Napoli managed to get 91 points in Serie A and played some great football. But that's not the whole picture; his Napoli team that season only managed to get six points in the Champions League and crashed into the Europa League. In the Europa League as well, they were eliminated in the Round of 32, despite having won the first leg away from home 2-0. In the Coppa Italia as well, they lost in the quarterfinals to Atalanta and the only competition they participated in was the Serie A. His Napoli team, after having played under him for three years, were four points clear of Juventus and still managed to lose the title. While Juve at the same time were competing in the Champions League as well as the Coppa Italia. Chelsea's and Sarri's philosophy are not on the same page. Sarri's system at Chelsea is too rigid. Chelsea are a club based on winning trophies; the ideology of the club is to win trophies no matter the cost. They have often criticised for winning trophies by playing defensive football rather than attacking football. Sarri, on the other hand, is a complete contrast, as he prefers to play attacking football. If Chelsea don't win anything this season, Sarri can hide behind his identity. The former Napoli manager can very well say that he had a particular way of playing his identity, a particular style of play which cannot be implemented in a short span of time. It was only during one season that he really managed to show that his football can produce results and still he could not win the Serie A. Ask Napoli fans would they prefer beautiful football or the Serie A title. But against Manchester City, it was clear that Sarri is desperate to win his first trophy in his career. The man who so proudly flaunted his idea of football went into defensive football mode against Manchester City and Tottenham. Thus, he did compromise his Sarri-ball to get results, while Chelsea were back to their style of play, it should have really been the opposite. Many have said that Guardiola also struggled in Premier League; but with Pep at City, people could see what he wanted to do, there was a structure, whereas here it hardly seems to be the case for Sarri. Sarri's system at Chelsea shows no signs of flexibility. Change is the way of life, in other words, the only thing that is constant in life is change. But not so much so for Sarri. He was criticised at Napoli for not rotating the squad as a result of which they ended up losing the Serie A. The Italian has been hell-bent on using his favourite Jorginho as a defensive midfielder while the best defensive midfielder in the world N'Golo Kante is used on his right. Jorginho has a good technique, but even Cesc Fabregas, who was the most creative midfielder in the Chelsea squad, was not given that role. Yes, Fabregas does not provide a lot of defensive cover but Jorginho is no different. The Spaniard is definitely a better playmaker than the Italian, but somehow he still did not manage to be in the starting line up. N'Golo Kante may not be a very technical player but he can provide the best defensive cover to any backline. If he can make the Leicester City team for the Premier League winners then he can surely do much better than that for Chelsea. Something which Sarri does not want to do is to displace his beloved Jorginho from the defensive midfield position. The job Kante does on the right side of midfield is fine but players like Mateo Kovacic and Loftus Cheek can do a much better job than him in that area. It's clear that Sarri does not want to upset a player of Kante's calibre even though Kante is playing very average in the midfield. If he does not play Kante, he knows the amount of criticism he will face and it might lead to Kante's departure as well. We have often seen that best managers in world football keep on changing their tactics, but have the same identity or style of play. Jurgen Klopp, Pep Guardiola, Antonio Conte, Massimiliano Allegri all have changed their formation to suit their players but maintained their way of playing as well. But, Sarri does not know how to play any another way. In the second leg against Atletico, Allegri played Can alongside Chiellini and Bonnuci while Pajnic was allowed to play further forward to dictate the game. Something of this sort can never be expected from Sarri, that he could keep Kante behind and let Jorgiinho dictate the game further forward. Chelsea's opponents have easily figured out that the way to nullify Sarri-ball is to man-mark Jorginho, and neither Sarri nor Jorginho seemed to have found an answer to it. Sarri has compromised his football when his job has been on the line. The whole idea behind bringing Sarri to Stamford Bridge was to make Chelsea play the Sarri-ball style of football, get good results and win trophies in the process. But forget trophies, Chelsea are not even able to play good football. 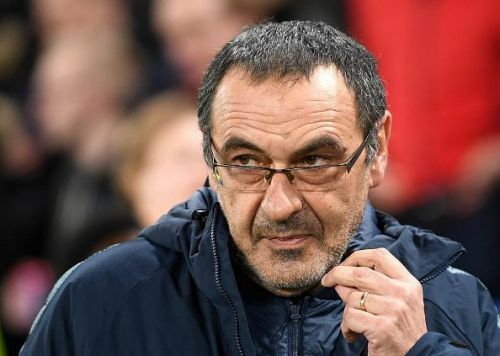 Sarri himself insisted after the 6-0 humiliation by the hands of Manchester City that he will not change his style, but in the Caraboa Cup final, when his job was at stake, he decided to change his style of play. He has been at the club for almost eight months and he is still not even close to bringing his idea of football. Chelsea have a lot of possession but don't know how to use it, or how to move forward and score goals. Some would say that the quality of the players is bad, but in truth, it is not even that bad that these players look so clueless when in possession. Somehow, Sarri also has to take responsibility for his team playing like this. 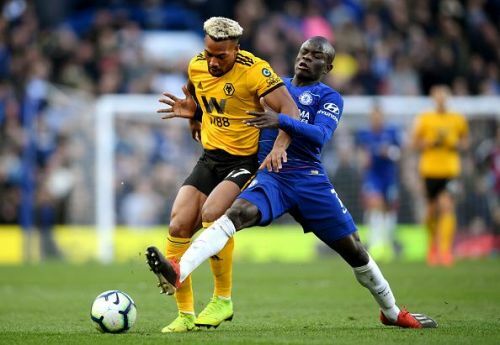 Sarri also said that he has no Plan B, but when Chelsea were losing to Wolves at Stamford Bridge 1-0, all of a sudden a new plan B came up which involved Kante playing as the holding midfielder. Sarri knew that if Chelsea lost to Wolves, it will be difficult for them to finish in the top four and again his job sould be at stake, thus again in order to save his job, he came up with a Plan B.
Sarri does not admit, but he does give special treatment to Jorginho. If Jorginho does not play well or for that matter any player who does not play well for any manager, it would be the player who has to improve or it is the player who should be asked to put in more efforts. But, for Sarri, it is the players around Jorginho who are not moving quickly enough so that he can play his one-touch football. Though, it may still be acceptable that players are not making good runs around Jorginho, but what about the fact that he is a defensive liability? 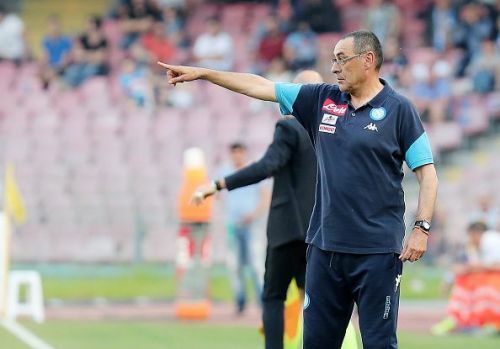 The former Napoli midfielder's defensive game has been awful, but Sarri would not question that or ask him to improve his game defensively as well. 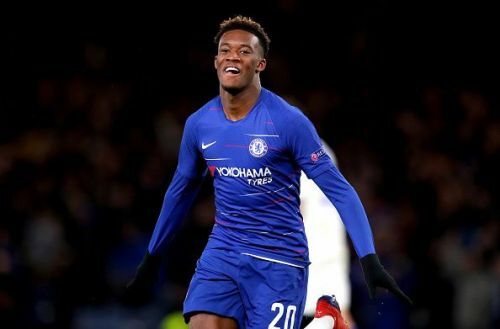 In the game against Tottenham at Wembley, he criticised Kante, but Jorginho was also very poor defensively. So, rather than accepting the blame that his tactics are not good enough or his summer signing Jorginho is not good enough, he would rather blame other Chelsea players for not being good enough. It has almost eight months since his arrival in eight months it seems like he has not been able to tell his players what he wants from them or how he wants them to move. Then what is it that he has been doing so far? After all he is the one who gives out instructions to his players to perform on the pitch, if they are unable to do the movements then what has he done to change it? Sarri questioned why he and his team were criticised so badly, whereas Arsenal were not given the same treatment, though they are having a better season than them. The answer is that the standards or the expectations at Chelsea are higher than that at Arsenal. The Gunners, if they lose a few games, it does not turn into crisis, but at Chelsea, that does not happen often. The Chelsea fans, season every season, expect their team to challenge for every title, but not the Arsenal fans. Because, expectations are different between Chelsea and Arsenal fans. The Italian should not be concerned about other teams, it seems like it is just a way of hiding his own deficiencies, by showing what your rival lacks. By comparing Chelsea to Arsenal he trying to conceal his own shortcomings. Transfer Ban could mean more chances for Chelsea youngsters. Chelsea will not be allowed to sign players for the next two transfer windows after they were hit with a transfer ban by FIFA. If Chelsea are unable to sign players and they continue with Sarri, the Italian would want a better team and the Blues would be unable to give him one, and yet again Chelsea could fail to impress. 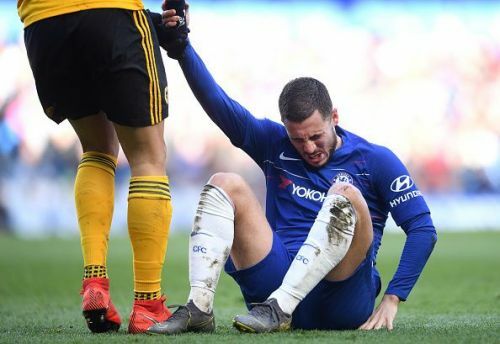 With the departure of Eden Hazard very much likely to happen next season and the transfer ban in place, Chelsea will have to trust in the youth players or their loan army. Thus, Chelsea need a manager who has a good record with young players and can guarantee them trophies, unlike Sarri who promised good football but has failed to deliver it so far. It should also be seen that despite his impressive work at Napoli he was replaced, not because of he failed to win Serie A but due to his personal antics. Otherwise, why would a club like Napoli where he has done such good work replace him?